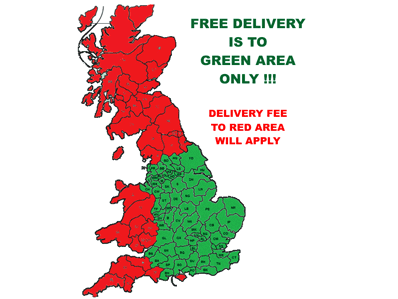 FREE DELIVERY is for the deliveries to GREEN Area on the map above only on minimum spend £250. 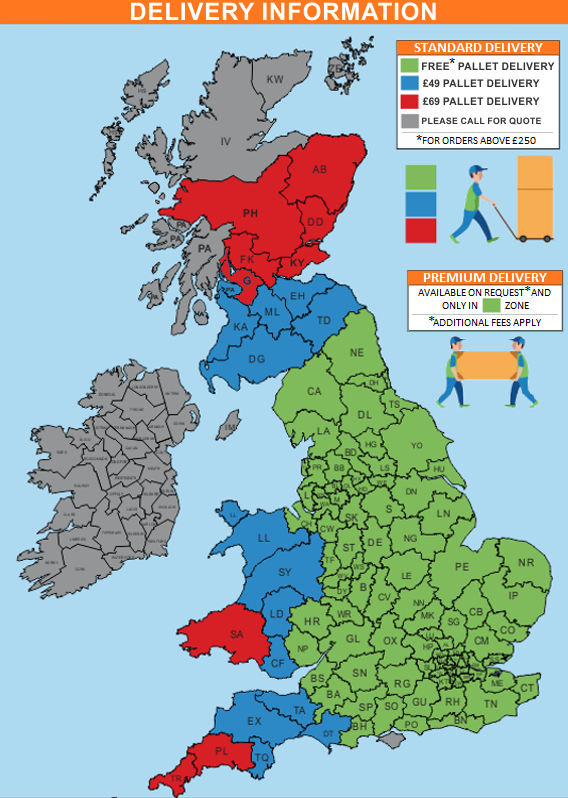 Additional fees will apply for delivery to RED and BLUE areas . Due to heavy bulky boxes DAKO`s average day is 8 to 10 deliveries. If you need a phone call that allows you more time to get home then let the Dako office know in plenty of time. Normal delivery times are 8am - 8pm on working days. However occasionally we will be able to offer weekend delivery dates. Buyer will be notifed of a delivery date either by text message or call. Please ensure you supply correct contact details. If the goods you ordered are in stock we aim to deliver as quickly as possible usally within 1-10 working days. Please note some items may be delivered slightly sooner or later than the above stated period (up to 10 weeks). Usually we contact our customers whithin 1-3 days before the delivery date and inform about delivery time slot. If it is not suitable for you you can decline the time slot and we will rearrange delivery within 1-10 working days. Delivery drivers as standard will not carry items upstairs, and all transportation of your goods to a location upstairs is entirely carried out at the contractors risk and discretion. Our drivers are unaccompanied; they will not move or take away any existing goods or property and will not carry out assembly or installation of the goods unless arranged .